When it comes to innovation in the field of graduate studies, Memorial is something of a trailblazer. Case in point: the School of Graduate Studies (SGS) at Memorial has recently been honoured with two prestigious awards – one of which the school already won in the award’s inaugural year. The National Association of Graduate Admissions Professionals (NAGAP) recognized Memorial’s work in international strategic enrolment management with its 2013 Promotion of Excellence Award. This year’s theme was Advancement of Graduate Enrolment Management through Strategic Interdepartmental Collaboration. The Canadian Association of Graduate Studies (CAGS) and Educational Testing Services (ETS) also selected the School of Graduate Studies for its 2013 Award for Excellence and Innovation in Enhancing the Graduate Student Experience in recognition of the school’s new eDefence process. At Memorial, the School of Graduate Studies has worked with academic and service units as well as external organizations to increase international student enrolment and enhance student success. This, and a noteworthy 231 per cent increase in international graduate applications, a 92 per cent increase in international graduate enrolment from 2008-12 and a new suite of graduate student services and programming were all mentioned by the NAGAP judging panel when choosing Memorial for its 2013 Promotion of Excellence Award. “We were impressed by Memorial’s ability to work together to achieve a common goal of internationalizing its graduate community,” said James Crane, president of NAGAP and assistant dean of graduate studies at Brigham Young University. In recognition of its new eDefence process, which leverages a web-conferencing platform to bring external examiners from anywhere in the world to the final examination table, CAGS and ETS selected the School of Graduate Studies for its Award for Excellence and Innovation in Enhancing the Graduate Experience – the second time the school has nabbed the award. eDefences have saved Memorial approximately $70,000 per year in travel and administrative costs, significantly reduced the time commitment of external examiners, allowed for remote international star examiners to participate and facilitated timelier completion of doctoral programs. “It is pretty seamless and quite impressive,” said Nicole Balliet, research project officer at the University of Northern British Columbia and a member of the CAGS/ETS judging panel. Andrew Kim, director of graduate enrolment services, and Sonja Knutson, acted director of the International Centre, collected the NAGAP award on behalf of the university at the association’s annual conference in Orlando, Fla., on April 24. 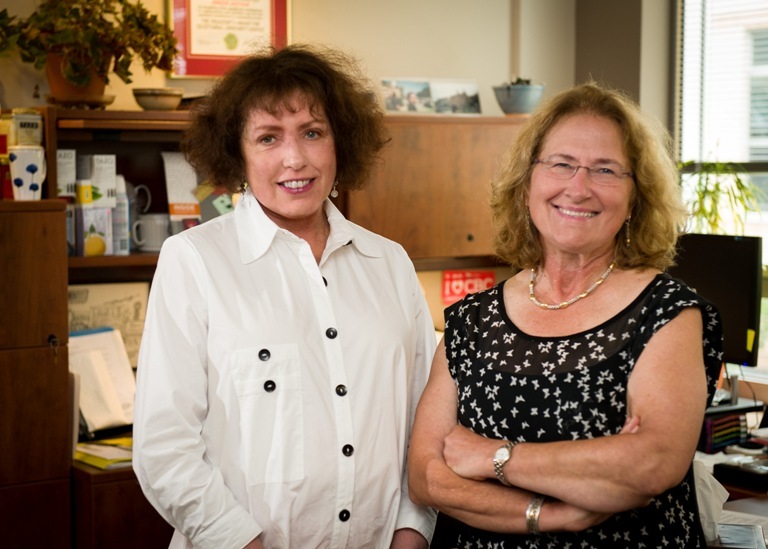 Dr. Golfman and Dr. Faye Murrin, associate dean at the School of Graduate Studies, will pick up the CAGS-ETS award at the organization’s annual conference in Montreal, Que., on Nov. 3.